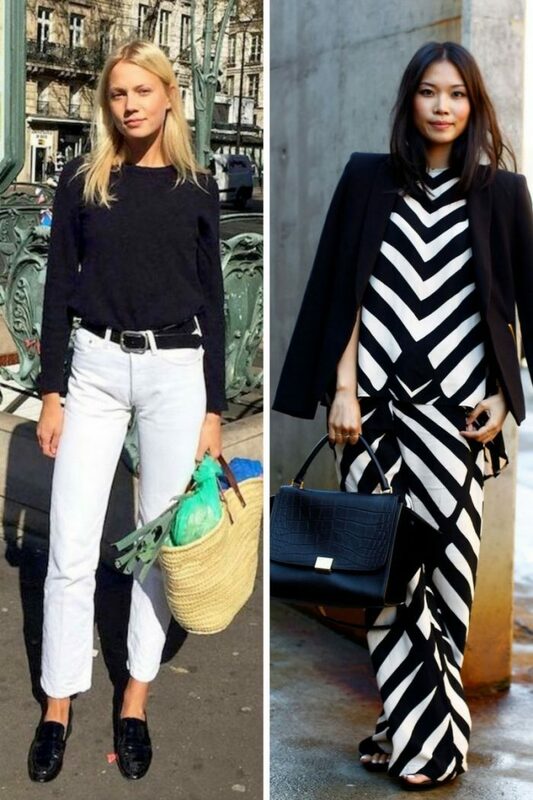 Why do we love black and white clothing? I guess it’s all because of its awesomeness and versatile appearance. Personally, it’s my favorite go-to color combo that I use to wear all year round. 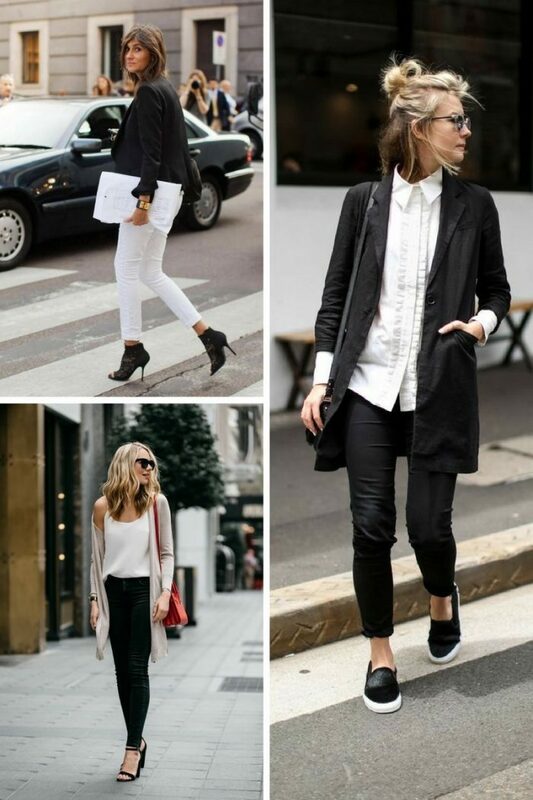 If you are in search of timelessly classic looks, then you gonna fall in love with black and white colors combination. Wearing black and white together can be really simple. If you want to achieve a posh and sophisticated look, then you may rely on this color combination. Anyway, I think we should check out some of the best ways how to make black and white outfits look awesome on you during Summer. The first outfit that popped into my mind is the white top and black bottom or vice versa. This might be one of the easiest ways to wear black and white in real life. This combo can be worn anywhere you want, starting from dates to offices and street walks. Here are presented stylish pairings, starting from black shirts teamed with slim white jeans and glossy black leather Oxfords to ladylike white blouses with black outlines tucked in black pencil skirts. Another great way to pair black and white is to try on striped garments and pair them with a black staple. Black and white stripes can be a little tricky to pull off, so you better stay away from wearing totally striped outfits, otherwise, you gonna look like a mime. You can try on striped top tucked in high-rise A-line black skirt, or try on a black tank top and tuck it inside the black-white striped skirt. Another way how to make these colors look awesome on you is to try on a fully monochromatic outfit and complete it with another color using it as an accent. The mono-color look gonna make you look taller and slimmer as well. You can try on a fully black fitted outfit and complete it with black skirt embellished with white color outlines, or choose white separates completed with a black shoulder bag and black pointed-toe pumps. What about wearing florals? Black and white florals is another way how to make these colors look awesome on you. This print gonna give you a right amount of detail to your outfit. If you want to refresh your look, then the best way is to add a pop of color. Sometimes wearing black and white feels a bit too plain and boring. All you have to do is to add fun details or bold color accessory. Do You have any thoughts about Black and White Clothes For Summer? Here are Fashion Tips pictures and trendy women’s outfits which are in style in 2019: Best Summer Fashion For Ladies, Black And White Clothes, Fashion Color Trends Report For Women, Must Have Fashion Trends For Women, Street Style Women's Fashion And Inspiration and tips on how to wear them on the streets.